Our three tier mobile bariatric trolley has been designed to fit into smaller cool rooms that are often found in funeral homes. 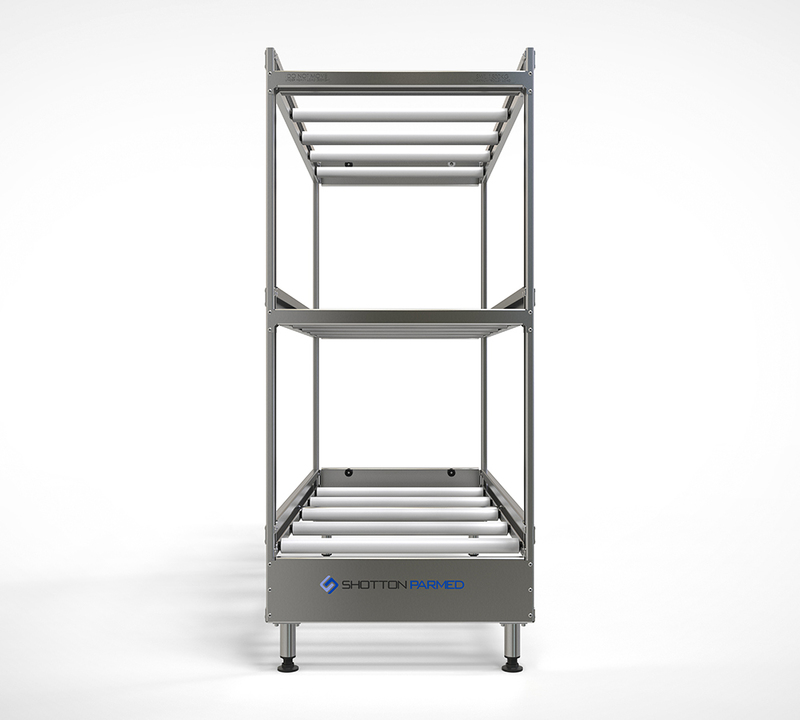 Each tier can take 450kg making the trolley a perfect solution for immediate bariatric storage in all cool rooms. Locking wheels give the trolley stability while loaded and when unlocked makes it easy to be relocated when necessary. This system caters for almost all trays and coffins in the market so in most cases will be compatible with your existing products. The rubber coated locking front roller also secures your trays and coffins while stored. 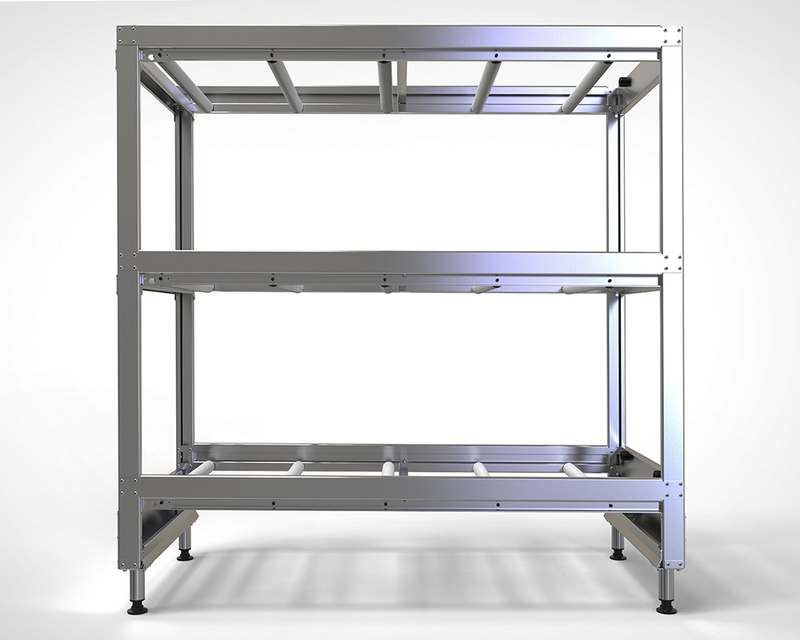 Mobile Racking Solution with heavy weight bearing capacity tiers.